A single word--"Auschwitz"--is sometimes used to encapsulate the totality of persecution and suffering involved in what we call the Holocaust. Yet focusing on a single concentration camp, however massively horrific the scale of crimes committed there, leaves an incomplete story and truncates a complex history. It cannot fully communicate the myriad ways in which individuals became tangled up on the side of the perpetrators, or the diversity of experiences among their victims. It also obscures the continuing legacy of Nazi persecution across generations and across continents. Mary Fulbrook's encompassing book explores the lives of individuals across a full spectrum of suffering and guilt, each one capturing one small part of the greater story. Using "reckoning" in the widest possible sense to evoke how the consequences of violence have expanded almost infinitely across place and time, from the early programs to euthanize the sick and infirm to the full functioning of the death camps, Fulbrook exposes the disjuncture between official myths about "dealing with the past," and the extent to which the vast majority of Nazi perpetrators evaded responsibility. In the successor states to the Third Reich--East Germany, West Germany, and Austria--prosecution varied widely. Communist East Germany pursued Nazi criminals and handed down severe sentences; West Germany, seeking to draw a line under the past, tended toward leniency and tolerance; and Austria made nearly no reckoning at all until 1980, when news broke about UN Secretary General Kurt Waldheim's past as an intelligence officer for the Nazi Wehrmacht. 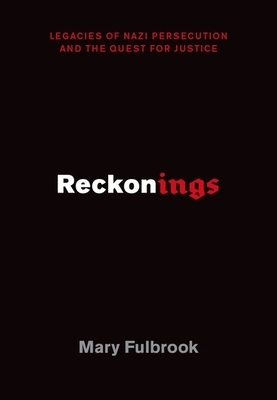 Following the various phases of trials and testimonials, from those that took place immediately after the war to those that stretched into the decades following, Reckonings illuminates the shifting public attitude toward, and legal status of, both perpetrators and survivors, and recalibrates anew the scales of justice.